Looking pretty spiffy at 25 Mario! So, good ol' Mario is 25 this year. 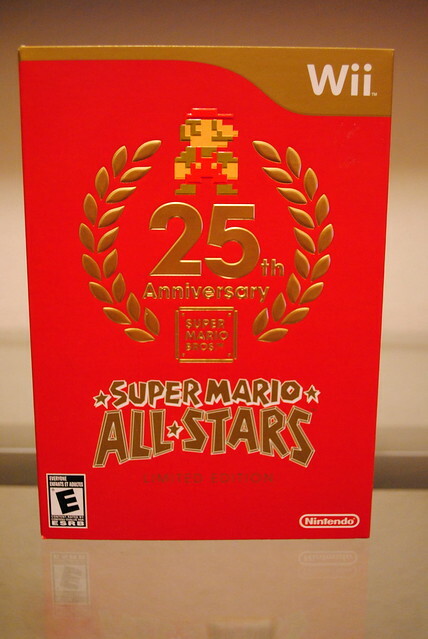 In order to celebrate Nintendo released this neat 25th anniversary edition of Super Mario All Stars for the Wii last Sunday. This neat package comes with a game disc that includes Super Mario Bros 1-3 plus the Lost Levels. Kind of a bummer it didn't come include Super Mario World. Quick anecdote, my earliest memories that I can remember is of me playing the Mario Bros. trilogy on the NES. This bundle came with two discs, one containing the games and another containing music from the series. The main theme in each of the main entries of the Mario series are included. 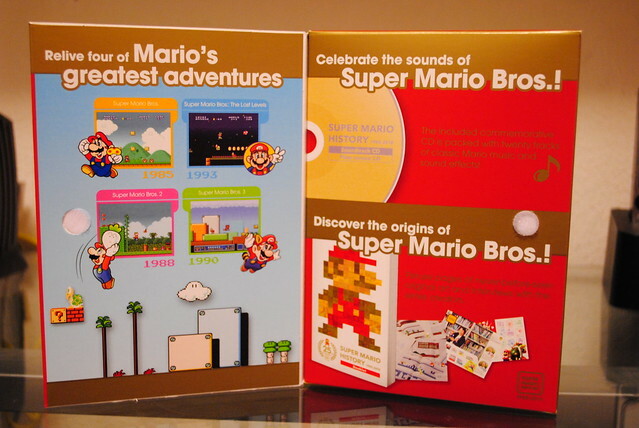 The music disc also contains several of the well known sound effects from the series such as sound cues for the mushroom power up or getting a 1-up. Now for a dirty secret, I play lots of video games, I buy lots of video games and I have finished lots of video games in my life. 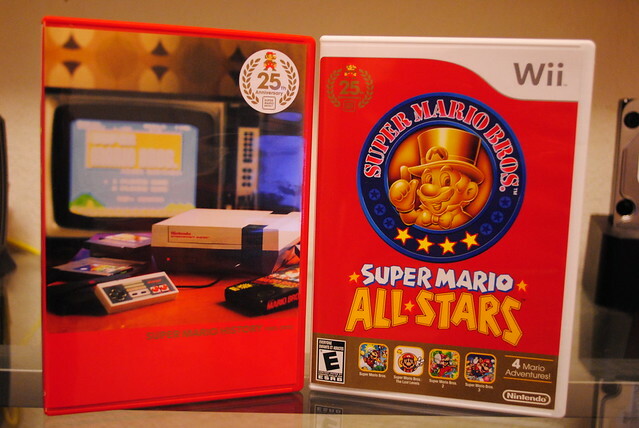 However, while I played every single Mario game I never finished the originals on the NES. In fact I only ever finished Super Mario 64. A booklet was also included it contains several pieces of the artwork for the games, plus several interesting photos. 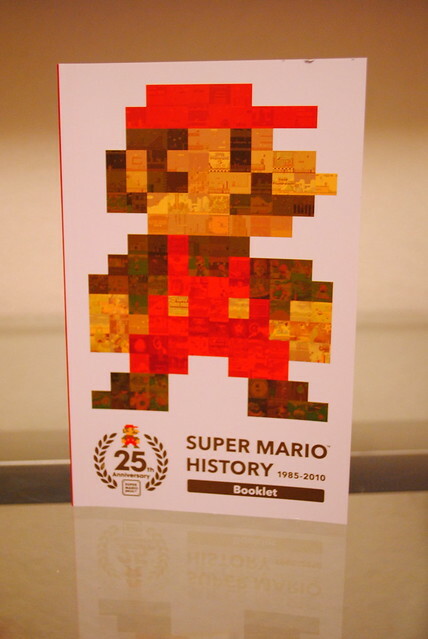 There is also a timeline of the Mario games, each entry contains interesting tidbits by the people responsible for creating the game. It's a little bit early but I have a new year's resolution already. To finish all of the NES Mario games without the use of any warps. Go through each level and clear every stage and every world.